Howard W. Ameling Exhibit – Firelands Rails to Trails, Inc. 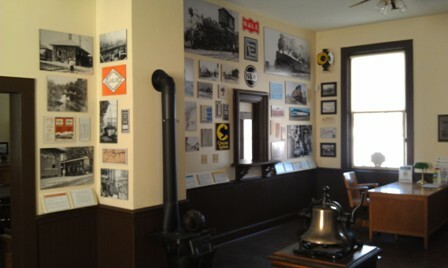 The Howard W. Ameling Photography Exhibit is housed in the Depot at Donald E. Morrow Park as part of the Railroad Heritage Center. This beautiful historical account of the area’s rich railroad history was made possible by Howard and Dot Ameling and the Nickel Plate Road Historical and Technical Society. Howard Ameling, of Fremont, is considered one of the nation’s best railroad photographers and his works span decades capturing the essence of steam and early diesel action on the Norwalk Branch and beyond. Come take a step back in time when steam was king!